Win one of two FREE Harvest 72" Systems! Have you been wanting a Harvest 72" system to store your canned goods? These systems are fabulous! Just one can store 460 regular cans or 112 gallon sized (#10) cans. And you can now enter to win one for free as part of the following fun competition being held by members of my Shelf Reliance team! This will be a contest, not a giveaway. So, you must do two things between today, Nov 29th and Dec 1st at 4 pm MST to enter and TWO winners will be chosen based on whoever is the funniest! 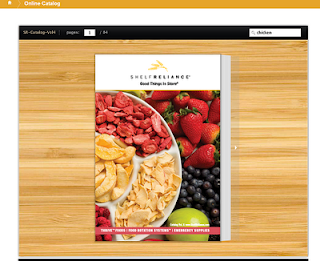 Step #1: Purchase anything from my Shelf Reliance Website here and email me your receipt (ThriveSisters@gmail.com). You might want to consider this 1 yr 1 person pkg as this are is one of the best deals I’ve ever seen from Shelf Reliance and I’m offering a fun bonus on top of the great price. Step #2: Send me a funny caption to the picture below. Just include the caption when you email me your receipt. My teammate's husband and our friend Chad (both very funny people) will be judging the captions and choosing two winners! Your chances of winning are VERY high! Contest winner will be based on the funniest photo caption as judged by Cory Marsh and Chad Mano. Only one purchase required for entry. Additional purchases do not increase chances of winning. a full year supply of food! This pack contains 120 #10 cans. *TVP (Textured Vegetable Protein) is consistent with real meat, making it an ideal alternative in vegetarian diets. Feel free to shop on line through our Thrive Sisters Store and receive our on line Consultant Prices for a major discounts over Shelf Reliance or any other Retail outlet. The more we can save money feeding our families nutritious food, prepare ourselves and our friends and neighbors the better off we ALL are. 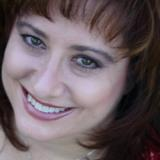 Today I would like you to meet Eden Bellenson who, with her mother Ann, are fabulous consultants on my team. They have a passion for living a THRIVE-ing lifestyle, as you can tell by her tag of MakeURPantryThrive! We received our Sun Ovens about the same time but they excelled at using theirs before I even got my out of the box. Please enjoy one of their adventures in Sun Oven cooking. 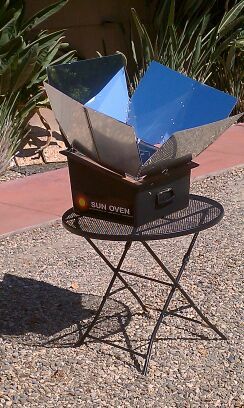 Sun (Solar) Oven cooking has been front and center of our cooking for the last several months. The August heat wave and a very high electric bills propelled us to the Sun Oven. We used our host benefits which made the oven even more affordable. Plus the oven was an early Christmas present for us. Upon unwrapping our Christmas-in-August contraption we approached the whole concept as a new adventure. We followed the instructions, videos and the hints that the Sun Oven company provided and set the oven outside in our driveway on a patio table facing the southwest. 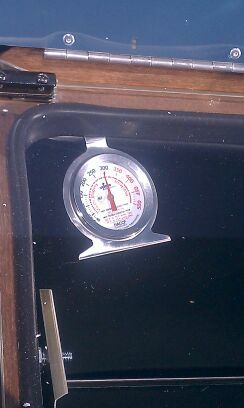 As we unfolded the reflector panels the thermometer inside the oven shot up to 150F in ~5min and 10min later it was up to 300F. And soon realized we were needing potholders!! Seeing it was quickly reaching 350F we decided to put it to the test. In honor of Julia Child's, our first recipe we tried was a garden veggie quiche using a combination of Thrive foods and tomatoes from our garden. 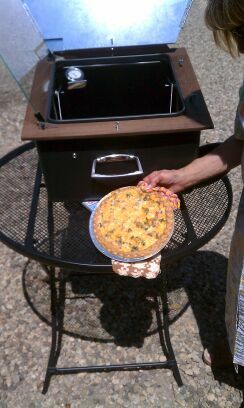 The Sun Oven cooked the quiche in 30 minutes and tasted even better than the house oven version in the same amount of time. We knew then we were hooked! It's been hard to contain our excitement since and all the advantages of cooking with just the sun (no electricity) and to top it off the end results tasted even better than the conventional ways. Chicken cacciatore and any subsequent chicken recipe we have tried, the chicken has been so moist, that the it literally falls off the bones!! We've learned all you need is a clear day and it does not matter what the air temperature outside is, as long as there is sunlight that oven will cook! So weather permitting, we hope to cook a turkey and all the trimmings it for the holidays. The question is not how to survive, but how to THRIVE with passion, compassion, humor and style! The more we can save money while feeding our families nutritious food, prepare ourselves and our friends and neighbors the better off we ALL are! 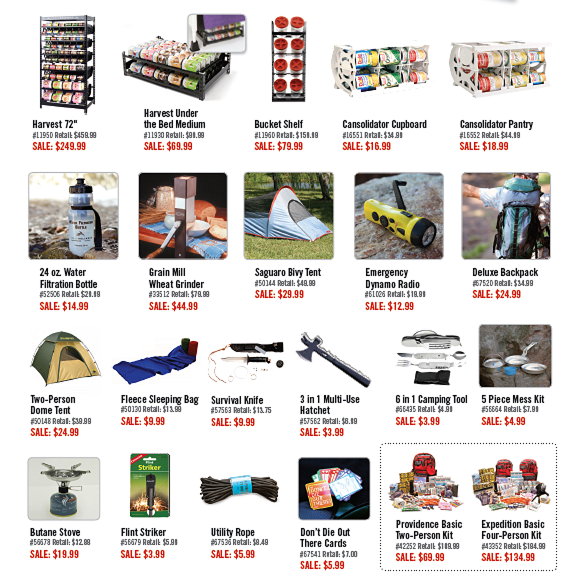 Shelf Reliance Thrive Black Friday Sale! until 10pm MST Tuesday, November 27th, 2012! 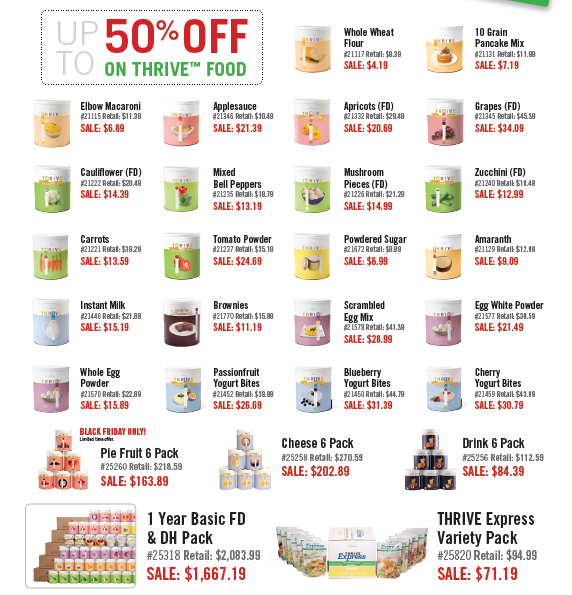 Now you can try THRIVE with the deepest DISCOUNTS of the YEAR! than party prices or the Q! Please understand all of these prices are “while supplies last.” With this sale being as big as it is there is a good chance Shelf Reliance will sell out of some products before the end of the sale date. I suggest getting your orders in as soon as possible. You could fill your shopping cart now and not process the payment until the Sale Price are in effect on Friday morning. Make sure you are logged in at Thrive Sisters before ordering to ensure the consultant discounts. Or you can pre-order through me and I'll make sure your order is processed on Friday. Even though this is a Black Friday Sale you can still have it as an "On Line Party". If you would like to have an "On Line Party" tell me, before the sale starts and I will create an event for you. Then we can hook your orders with orders from your family and friends, that way your can earn Host Benefits for or FREE and 1/2 OFF products as well. To view a list of the most deeply discounted items Click Here. THRIVE Coconut Macaroons for the holidays. I know it might be early for some of you but we've already had one cookie exchange, I think cookie exchanges are wonderful. This gives me a chance to visit with the ladies and see what everyone creates. My family is ecstatic that I come home with a nice variety of treats. I love cooking and creating interesting foods so I make a point of bringing new recipes to each cookie exchange. This year I received very short notice for my first cookie exchange and for this one I needed to bring 5 dozen cookies! Very little notice, little spare time ... humm .. what ingredients do I have on hand? 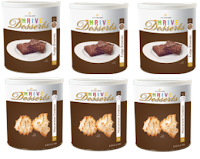 PERFECT, I have my supply of Thrive Macaroon Cookie Mix! I used the whole can of mix and ended up with 5 1/2 dozen cookies using my (#30 1 oz) ice cream scoop. I have not shopped for this years holiday "food bling", as my hubby calls it, so I just relied on food coloring. So in literally 2 minutes, I had cookies mixed and waiting for the oven. The mix needs to sit 5 minutes before baking which is perfect as that is while my oven is coming up to temperature. And I have to tell you the BEST part was there was no flour, sugar, eggs, etc to have to get out and put back away. No measuring spoons, no flour spilled, no egg white dripping, messy egg shells, no running to the store for shredded coconut. You get the point, clean up was a breeze! This is just another example of how my family uses THRIVE to save time and save money. I could not be happier that I got into using these product and becoming an independent consultant for Shelf Reliance. 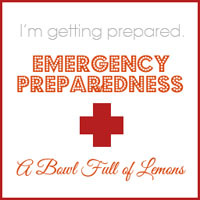 At first it was only to have some sort of backup of food supply on hand. 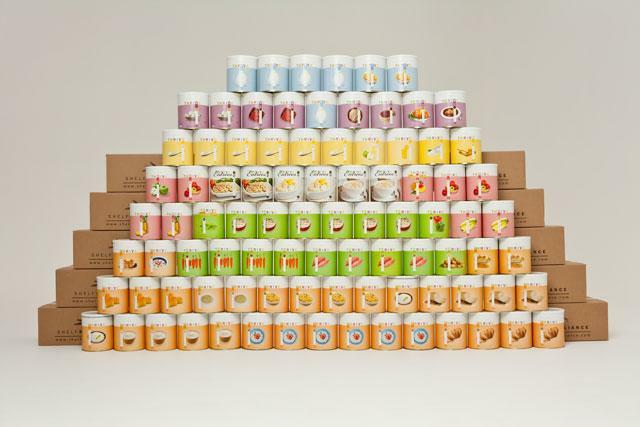 When I received my shipment I just left the cans sit in boxes for months before I ever tried any of the items. Once I tried some and realized how good they really are, how much TIME it really saves me in the kitchen and how I could use them to save me MONEY on my monthly grocery budget I could not help but tell all my friends. That's when I decided to become a consultant. Now I have a wonderful side business where I am actually helping people. I can not express to you how good that feels! I'm not begging relatives and friends to "buy my candles" or "buy my jewelry", nothing wrong with people that do, that may be their passion. My passion is food and everybody needs food, so I am helping people with their needs. That feels great! I'm not pushing a product I'm offering a service. I offer great customer service and I'm always looking for the best way to save people money. 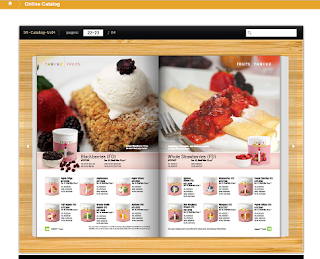 I would love to be of service to you with helping you create and stock your own Home Store. I would love to have you as a consultant on my team. If you are interested please feel free to contact me. *** FYI Black Friday Sale will start VERY soon. 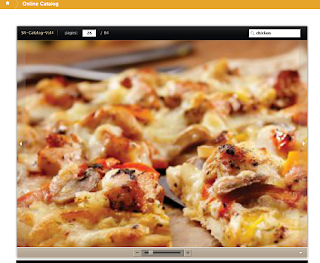 Click here for a preview! Pre-orders are welcome just give me a call. Feel free to shop on line through our Thrive Sisters Store and receive our on line Consultant Prices for a major discounts over Shelf Reliance or any other Retail outlet. Your prices can be found under the Con-Web column. 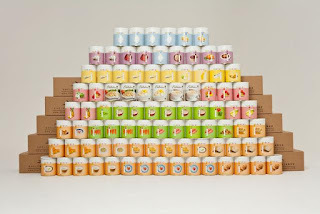 Go to Thrive Sisters to shop on-line yourself or we may be able to provide better discounts by contacting us directly. 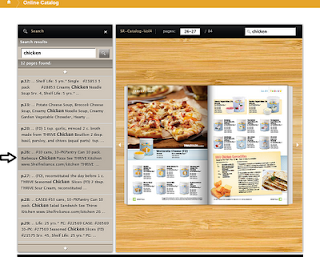 You can view our catalog on-line and flip through at your leisure. 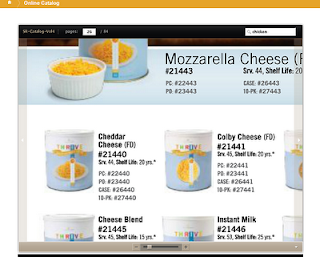 While looking you can always search for a particular product. Fill in the search field and you will be shown all the pages that item appears. 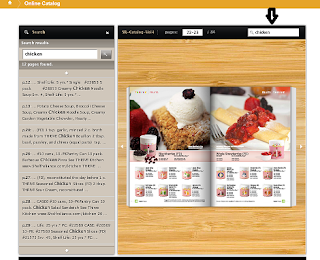 Double-click on that item on the page and it will enlarge for better viewing. 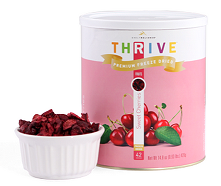 Feel free to shop on-line through our Thrive Sisters Store and receive our Consultant Prices for a major discounts over Shelf Reliance or any other Retail outlet. Your prices can be found under the Con-Web column. Go to Thrive Sisters to shop on-line yourself or we may be able to provide better discounts by contacting us directly. Ready to shop? Start here! Have more questions? Contact here. The more we can save money and feed our families nutritious food, prepare ourselves and our friends and neighbors the better off we ALL are! Please visit Misty's Blog for my Guest Posting creating a Thrive Sweet Cherry Crostata.